Well, Christmas has come and gone…very quickly as usual. I hope that everyone had a lovely Christmas and ate plenty of good food. I had a great Christmas, was around great family and my eating has only just begun. After a bountiful Christmas Dinner, it was time for dessert. I would have never guessed that my favorite item of the entire night would be a simple cookie. A Minty Ending to a great day. After Christmas dinner had been consumed, I wandered over to the dessert area. My options included Chocolate Cheesecake, Red Velvet Cake, Chocolate Bottoms and Chocolate Chip Cookies. I opted for some chocolate chip cookies and grabbed two on my plate. I broke the cookie in half and found that it was somewhat crisp. Not crispy like it was over burnt, just a solid, crisp cookie. I broke the cookie again and put a piece in my mouth. Wait. Woah. 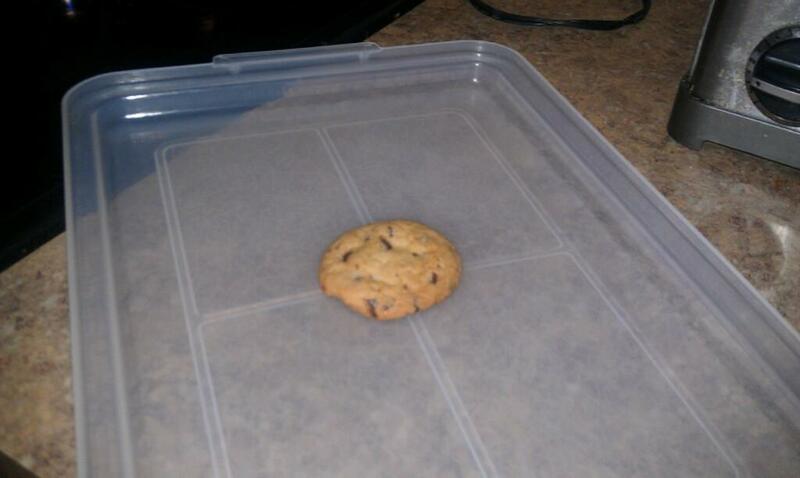 This is not a chocolate chip cookie. Huh? These cookies were homemade and from the outside, appeared to be just simple chocolate chip cookies. But, the cookie that I was chewing in my mouth was most certainly not a chocolate chip cookie. I continued to chew, finished my bite and went in for another piece. After eating this piece, I realized what these cookies truly were. These were Mint Chocolate Chip Cookies disguised on the outside as Chocolate Chip Cookies. A truly tricky camouflage. 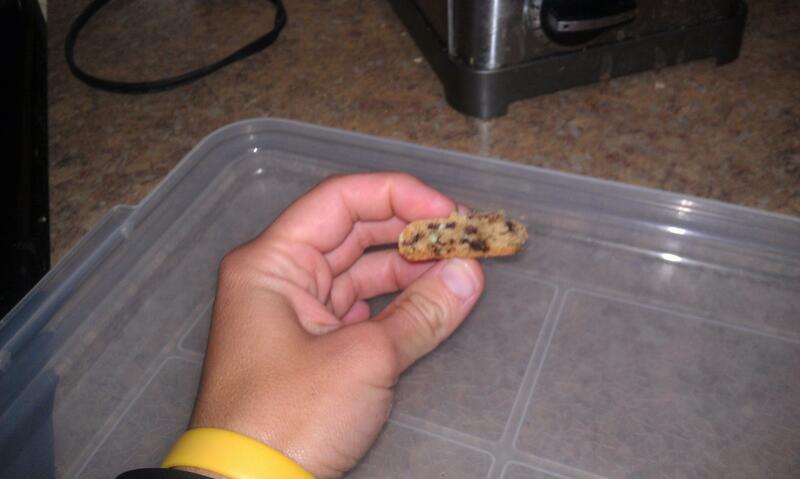 Even though the cookie was crisp, it did not taste like it was overcooked at all. The dough was basic and included mint chocolate chips. The dough had a sweet taste and was flavored equally throughout the entire cookie. For a homemade dough, this was really solid. Often times the dough ends up being either overly sweet or flavorless – this was neither. I really liked the way the mint chocolate chips worked with the dough. The chocolate mint flavor was there but it was not overly powerful at all. As I ate each bite, I tasted chocolate chips with a hint of mint while eating, and then a minty refreshing flavor after I swallowed each bite. Neither the hint of mint nor the minty refreshing flavor was too minty – both were simply perfect. I really appreciate that the dough was kept simple. This allowed the mint chocolate chips to really shine…a task they were surely up too. Each cookie had plenty of mint chocolate chips in each bite and meshed just perfectly. I just totally loved these cookies and not only ate some at dinner but also brought some home with me. Simple and Minty are the best words to describe these cookies. And I must stress, that the mint flavor was so real and not fake tasting at all – a difficult feat when it comes to baking with mint. A big shout out goes out to Marnie who baked these delicious devils and hosted us for dinner – fabulous job. This is most certainly a recipe that I will be getting and adding to my cookie baking routine. After a great Christmas spent with family, these cookies were the Minty Ending that I was so not expecting.